BESTE BERATER: BERYLLS RECEIVES AWARD FOR THE THIRD TIME. Berylls Strategy Advisors has now been honored with this title for the third time in a row. The triple success happened only a few months after defending their title as hidden champions. In the brand eins ranking, Berylls occupies two top rankings, one in the auto & supplier industry and the other in innovation & growth. Only two percent of German consulting firms will be awarded the exclusive Best Consultant Award in 2018. BERYLLS RECEIVES THE BRAND EINS ‘BESTE BERATER’ AWARD – FOR THE THIRD TIME IN SUCCESSION. Following its repeat success with the Hidden Champions award, Berylls Strategy Advisors has now achieved a hattrick with the ‘Beste Berater’ Award. Berylls took two top places in the best consultants ranking – in the Automotive & Suppliers category, as well as in Innovation & Growth. Of around 16,000 management consulting companies throughout Germany, only 293 made it onto the brand eins best list in 2018. Munich, April 17, 2018 – 2017 was another hugely successful year for the consulting sector – revenues grew for the eighth year in succession. They reached EUR 31.5 billion last year – 8.5 percent higher than in 2016. In addition, there is vigorous activity in the industry, with unprecedented demand for specialists. 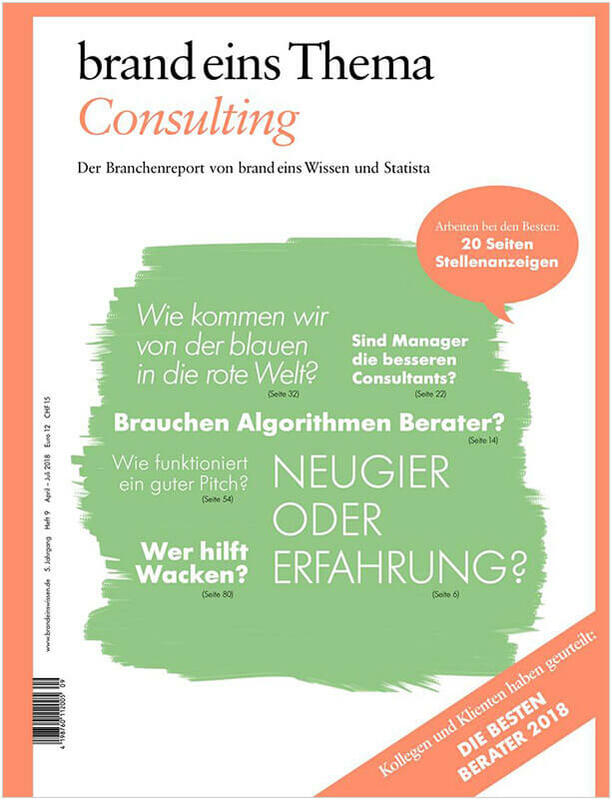 It was against this background that the magazine brand eins Wissen and the statistics portal Statista published their comprehensive consulting industry report, which has been an established voice in the consultancy scene for some six years. The ‘Beste Berater’ Award is undoubtedly one of its highlights. Berylls Strategy Advisors has now been awarded this title for the third time in succession. The triple success came only a few months after it successfully defended its Hidden Champions Award, thereby continuing its success story. brand eins and Statista base their ranking on the verdict of a jury of around 3,200 top managers who are either in managerial positions in consulting firms, or in executive posts with the clients of these companies. BERYLLS LEADS IN BOTH THE AUTOMOTIVE & SUPPLIERS CATEGORY AND IN INNOVATION & GROWTH. Berylls is represented twice in the 2018 brand eins award, and can count itself among the best in the Automotive & Suppliers category, and in Innovation & Growth. The aptness of the jury’s decision is apparent from the portfolio offered by the leading Munich-based management consulting firm. The majority of the projects that Berylls works on now involve questions of big data, artificial intelligence, electrification, mobility services, autonomous driving or connectivity. Two typical examples of this are the development of a completely new business field for an automotive supplier in the area of e-mobility, or setting up a trailblazing and separately branded mobility offering for a large OEM. They show how heavily Berylls is involved in the most important innovations of the automotive world. BARELY TWO PERCENT OF THE 16,000 CONSULTING FIRMS MAKE IT ONTO THE BEST LIST. To be perceived as a ‘Beste Berater’, one must prevail over hosts of competitors. After all, there are some 120,000 consultants in Germany, distributed among over 16,000 consulting companies. As in the previous year, only about two percent of those made it onto the brand eins best list. An extremely competent jury identifies the top companies, drawing on its solid industry expertise. It assesses the services it has used, or which it is familiar with from its day-to-day business. 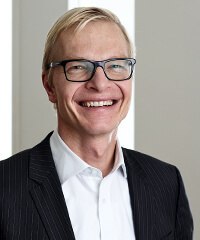 According to Dr. Jan Burgard, managing partner of Berylls: “This award is especially prestigious in the consulting world, particularly as it is mostly based on feedback from clients. With their many years of experience, clients can give a really solid assessment of successful consulting work.” The clients, as well as the competitors, obviously appreciate Berylls’ analytical skills and working style shaped by entrepreneurial thinking. The long list of distinctions won by Berylls is clear proof that the young Munich-based top management consulting company has gained itself an established place among its competitors with decades of experience. Andreas Radics, managing partner at Berylls, adds: “The topics in the automotive industry are more challenging than ever. Berylls is part of this industry, a fact that is once against impressively underscored by this award. We see our role not only in the strategic concept definition, but also in the end-to-end implementation of topics.” Down-to-earth discussions about the issues don’t seem to put clients off. Beryll’s experts and their clients meet at eye level, which is another characteristic of the Munich-based consultant.